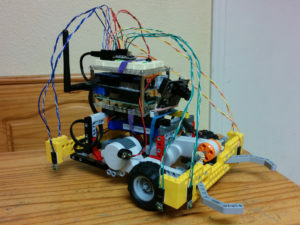 « How Do You Grow a Robot? This weekend (Apr. 21-23, 2017), the San Francisco Bay Area will host the Annual International RoboGames at the Pleasanton Fairgrounds. Robot Garden will have several of our members competing in various events. Please come out and support our local competitors in this international robot competition! 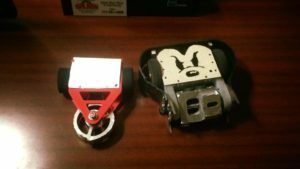 Starting on Friday Robot Garden member David Rush will be competing in the Combat Robots Events with his 3 lb and 1 lb bots Odium and Icky Mouse. Checkout David’s complations of youtube videos from a previous competition in Pennsylvania early this year. 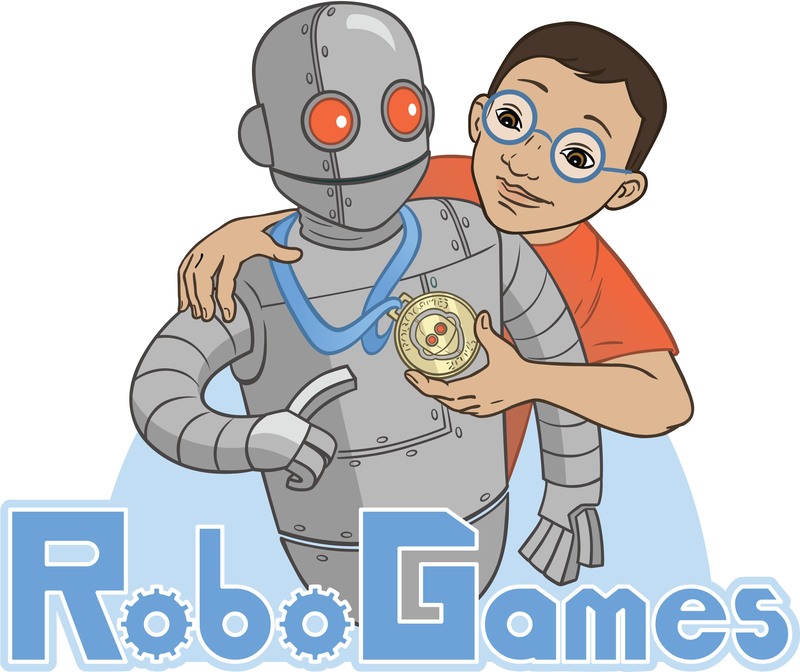 There are 50 register competitors for the RoboGames Combat Robot 3 lb and 1 lb Events. 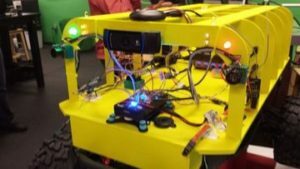 Also on Friday Marco Walther will be competing with his bot Dexter in the TableBot Navigation Challenge. Here are videos of Dexter doing some practice work for this weekend (Stay on the Table & Move the Block)! On Saturday we have two entries in the RoboMagellan Navigation Event. 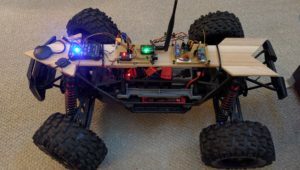 These vehicles have been built to enable autonomous navigation for running an obstacle course to find orange cones in an open field for the fastest time. Victoria Bot (name after the Magellan Voyage’s lone surviving ship) is built on a Remote Control (RC) Traxxas truck! Checkout Victoria’s practice run from last weekend. Entdecker L Bot – is Marco Walther’s third year RoboMagellan entry also built on a RC Traxxas truck! Checkout Entdecker L’s latest practice run. Come out this weekend and support our Robot Garden competitors as they work to bring home the Gold. Create your own DIY laser cut jewelery!